After a long long time that I haven’t written any article I decided to start sharing little samples of code and videos from the latest technology I have learned: Appcelerator’s Titanium. 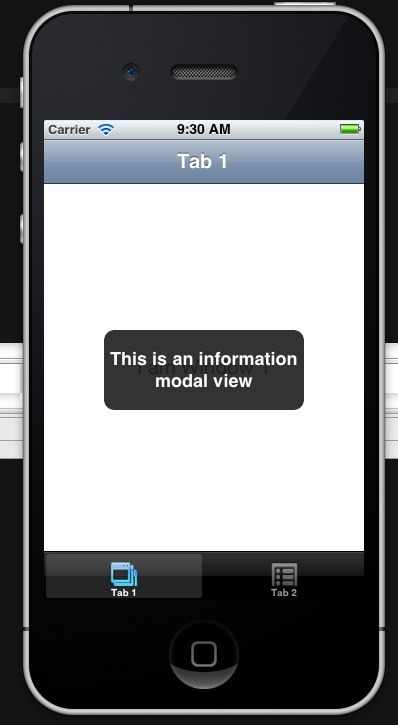 So let’s start with this little module based on Appcelerator KitchenSink app that what it really does is create a modal information popup, that you can use to show the user any kind of “alert” messages. 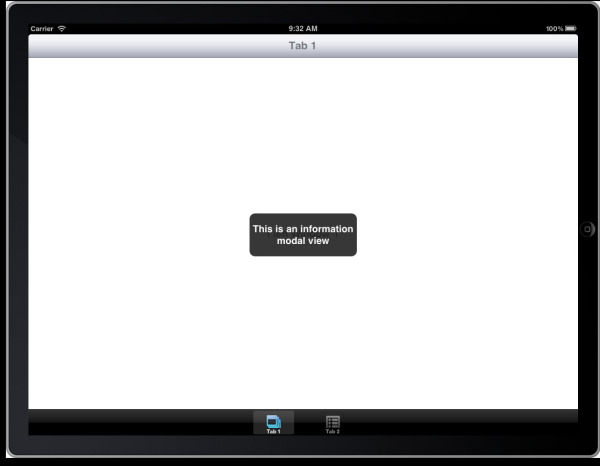 This code has been tested on iPhone, iPad and Android with Ti SDK 2.0.1+. At the moment I’m only including the chances to add some text. 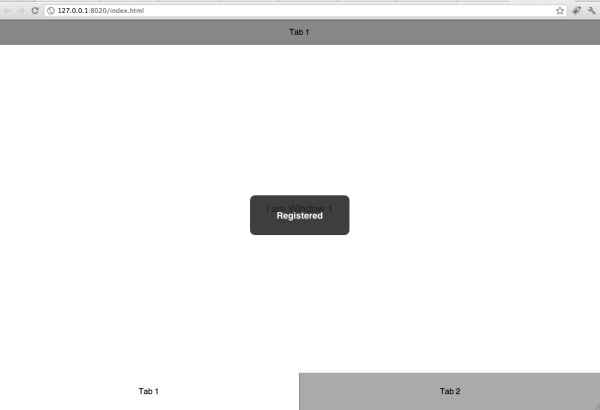 I’m going to add a couple of options to display and image and an native activity indicator. The first one can be added at the beginning of your file and the second one you should use it every time you need to send a modal information message. By default the duration of the modal is 300 ms but you can change it to whatever you need. What do you think that can be added to this little module to make it better? ← Image Cropping in Titanium. 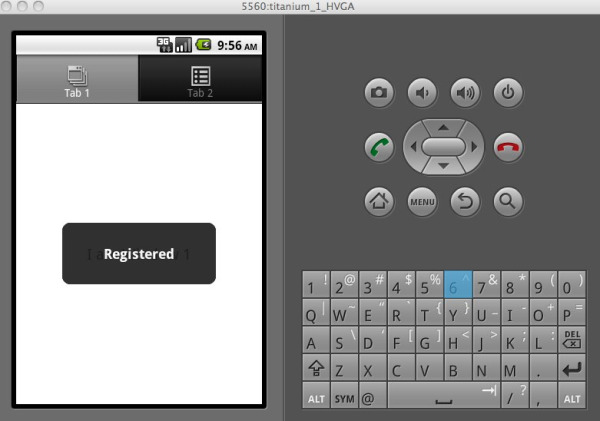 Cross-Platform Mobile App Development.